What is the NHS MPK policy? In 2016, NHS England made the ground-breaking decision to provide eligible amputees with Microprocessor Knees (MPKs). MPKs offer genuine life changing benefits to people living with through knee, above knee and hip disarticulation amputations through their technologically advanced functions that reduce the risk of falls and increase safety to the wearer. If you meet the eligibility criteria, the funding is available to you now! 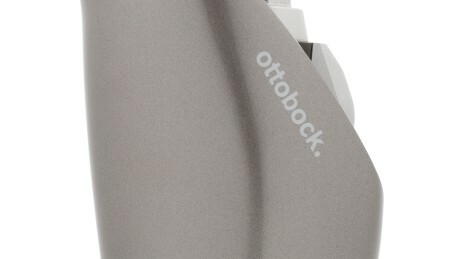 In a recent survey, Ottobock asked clinicians to rate what they saw as the most important features of MPKs. Amongst the group of more than 60 doctors, prosthetists and physiotherapists who responded the following five features were voted as the most beneficial to an amputee. 75,000 people. Five top features. One clear choice. The C-Leg Experience. Who are you first? Are you an amputee, a professional, a sibling, a mother, a father or a friend? The C-Leg Experience is being whoever you want to be, with a prosthesis that gives you mobility and independence. Just ask the thousands of individuals who have benefitted from more than 75,000 C-Leg fittings that have been carried out since 1997. Now in its fourth incarnation, the C-Leg 4 is safer, more dynamic and is closer to a natural walking pattern than ever before. From stairs and ramps to varying surfaces and walking backwards, the C-Leg adjusts itself dynamically to everyday situations, tailoring every movement to meet your needs, whilst providing absolute peace of mind and security for every step. What does the C-Leg experience mean to you? “Transformational” – Courtenay Humphreys, Gloucestershire. “Natural” – Debbie Homewood, Norfolk. “Worth its weight in gold” – Jeremy Wood, Surrey. Don’t take our word for it; have a read through the stories below from some of the people who have benefitted from a positive C-Leg experience. 26 year old Steph Dimmock from Hull is a drama graduate, merchandiser and television/film extra. A congenital amputee, Steph’s fiercely independent spirit led her to pursue an exciting and sociable life in London, where she received her first advanced computerised prosthetic leg in 2017. Steph explains what it’s like to grow up as a young amputee, the drama lessons that gave her confidence and how her new knee has helped her to do more than even her ambitious nature ever thought possible. Following the amputation of her leg over five years ago, Debbie was determined to return to the active lifestyle she previously enjoyed. Looking for something more suitable than the basic prosthesis she was originally given, she started a campaign to get an advanced prosthetic leg, the C-Leg 4. At the time it was only available through private clinics until a new NHS fund for microprocessor-controlled knees was made available in early 2017. Here, she explains how this state-of-the-art prosthesis has led her to reclaim not only her independence but her identity too. Nature lover Peter De’Luce was walking in the Lake District in 2009 when he suffered a serious fall off Sharp Edge on Blencathra. When he fell he hit a large rock, causing the cartilage in his left knee to split and he was air lifted to Carlisle Hospital for immediate treatment. A subsequent surgery led to irreparable damage and his leg was amputated in 2013. Whilst the initial transition was a gruelling task, Peter has now found a new lease of life and can once again return to the activities he loves. 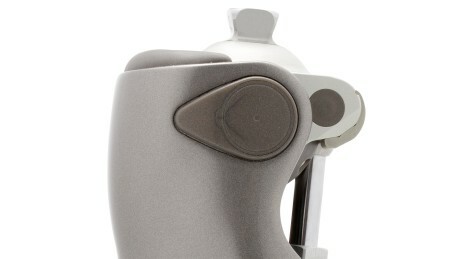 The funding means that amputees will have access to one of the safest and most popular MPK's on the market – the C-Leg. 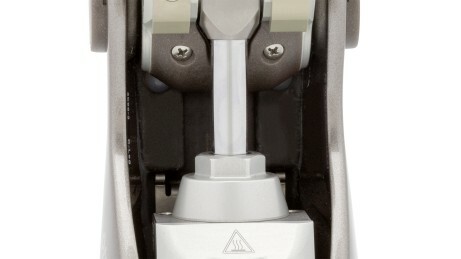 The C-Leg is the most widely used MPK across the world with more than 75,000 fittings carried out for people with transfemoral amputations since 1997. The C-Leg is the most clinically studied microprocessor knee, is extremely reliable and has the ability to help people achieve independence. Now the C-Leg is available on the NHS, amputees have the opportunity to experience life with increased safety and confidence. Launched in 1997 and in its fourth and most advanced incarnation, the new C-Leg 4 marks the start of a new era: It’s the best C-Leg of all time. The daily challenges that are faced by amputees all over the world are now a thing of the past. No longer do you need to concentrate on every step, whilst you are looking at the ground for any potential obstacles that may lie ahead. The safety systems inside the C-Leg 4 have that covered so you can relax, look forward and enjoy life. The main aim of a prosthetic knee joint is to replicate normal anatomical movement; with C-Leg 4 we are closer than ever to achieving this. The on-board sensors and microprocessors within the C-Leg 4 are constantly measuring information from the knee joint in real-time. Unlike other microprocessor knees, there is absolutely no delay from detecting a change, to adapting the settings to the new situation. Whether you’re walking down a slope, quickly changing your direction and pace of walking, or stopping abruptly to avoid danger, the C-Leg 4 has the technology to provide the wearer with the most natural and responsive walking pattern. Life isn’t always about moving around. Sometimes the hardest thing for an amputee is to stand still in a comfortable and relaxed position, without having to waste energy controlling the movement in the knee joint. Without a C-Leg, simple things like standing outside in the garden, on uneven ground, holding your child at the park or even certain jobs that require you to stand and face people can become a daily struggle. These situations can also often generate significant back problems and joint aches and pains. With the C-Leg 4’s unique stance function, it naturally and intuitively allows you to stand completely safely on a slightly bent knee joint. When you’re ready to move, the movement is detected and will allow you to walk off without you even having to think twice. Scientifically proven; world class safety! 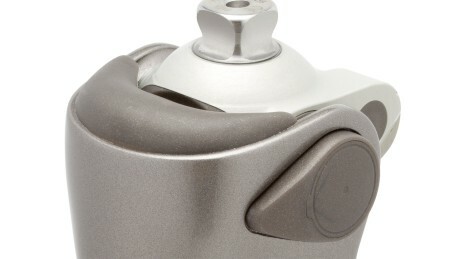 During normal daily life, safety is of utmost concern to those who use a prosthesis. The C-Leg 4 has the most precise and safest Stumble Recovery feature in the market. Unlike other microprocessor knees and indeed our last C-Leg 3, the C-Leg 4’s Stumble Recovery function is armed and ready to support you immediately. The C-Leg 4 does not need to detect a stumble to provide its enhanced level of support – it’s already prepared as soon as you start to swing through to take a step. This unique Stumble Recovery feature in the C-Leg 4 is certainly best in class. A large number of scientific research studies have proven that the number of falls in people with transfemoral amputations is significantly lower with the C-Leg in comparison to conventional prostheses. 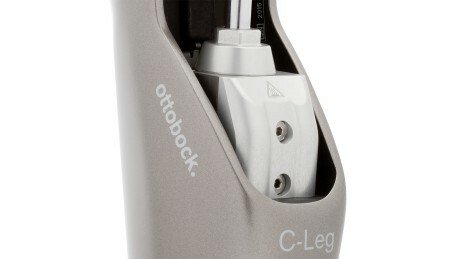 The C-Leg 4 lets you connect via Bluetooth to your knee by using the Cockpit App on your mobile device. Information such as remaining battery life and step count can be easily viewed and tracked. Patients can also use the app to activate and deactivate the C-Leg 4’s sitting function. This is extremely helpful when sitting in confined spaces where you may need to reposition your leg. Another feature of the app is its ability for users to switch between modes. No matter whether your hobby is golfing, dancing or riding a bike, the C-Leg 4 allows amputees to programme their knee to a specific mode, so you can continue doing what you love. The weatherproof C-Leg 4 has an IP67 rating, meaning it is protected from damage against spalshed water or temporary submersion in fresh water up to one metre for 30 minutes. Now everyday activities such as washing the car or watering you garden are no longer a problem. 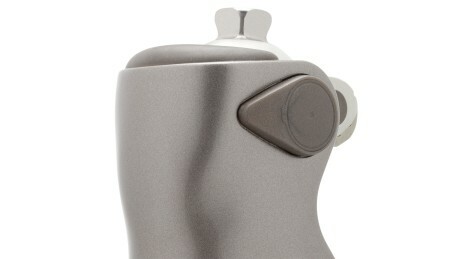 The C-Leg 4 protective cover safeguards it against knocks and scratches. It consists of a robust main protector component, a choice of decorative inserts for the front section as well as a foot cuff. 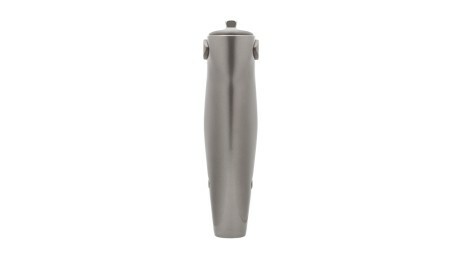 The protective cover also gives the leg a natural volume and shape under clothing. Available within NHS England centres only, the MPK policy aims to help patients recover from the effects of amputation with improved rehabilitation and prosthetic choice. Patients will be prioritised for funding based on clinical need. Along with their clinical team, amputees will now be able to select the right prosthesis based upon their needs and will not be limited to mechanical options. There has been much documented evidence on the benefits and advantages of microprocessor knees compared to mechanical alternatives. MPKs provide wearers with more safety and stumble recovery software. This can reduce the risk of falls and their related injuries significantly. Patients who have trialled both mechanical and microprocessor knees also noted their improved mobility and independence when wearing an MPK. The policy will allow above knee, through knee and hip disarticulation amputees, with a medium to high ability level, the opportunity to be fitted with a fully funded microprocessor knee on the NHS. All patients will need to follow the outlined treatment pathway, in order to qualify for MPK provision. If you wish to be fitted with an NHS C-Leg 4 you need to contact your local NHS Prosthetist. You will then be assessed individually by your centre’s multi-disciplinary team (MDT). This could include your Prosthetist, Consultant, Physiotherapist and Occupational Therapist. The assessment will aim to gather your full patient history as well as understand the daily activities, needs and challenges you may face as an amputee. A physical examination may also be required. You will need to be able to demonstrate commitment to the rehabilitation programme required for fitting. You will then, along with your care team, outline clear rehabilitation goals you would like to achieve. The goals will be centred around your ability, needs and aspirations and must be able to justify the need for a C-Leg. Upon the successful completion of the above, your MDT can then organise a C-Leg 4 trial. Prior to your trial, you may need to be fitted with a new socket. The trial will last four weeks, allowing you to take the prosthesis home and get the feel of what using a C-Leg in daily life is like. During the trial you may need to attend some physiotherapy sessions, where you will be taught how to get the most out of your C-Leg. You will also need to prove that you have enough strength and balance to activate the knee as well as sufficient physical fitness to walk outdoors with the prosthesis. You must also be able to master the control, operation and care of a C-Leg 4. Your Physiotherapist may also record how you walk on your current prosthesis, compared to your performance on the C-Leg following the trial. Referred to as outcome measures, these may include information on your mobility and noticeable changes that have taken place as a result of wearing your C-Leg. For example, if you have a history of instability documented through falls, stumbles or near misses it is imperative you share this information with your Prosthetist prior to your trial. Studies have found 64% of C-Leg wearers had a reduction in falls compared to wearing a mechanical knee. If the results of your C-Leg trial illustrate a higher level of stability for you, this will be a key finding to support your need for a C-Leg. The easiest way to keep track of this is by keeping a diary of your daily activity. Upon successful trial completion and based on your care team’s recommendations, you may then be eligible to be fitted with an NHS funded C-Leg 4. At a minimum, you must have the potential to walk with a mechanical knee at a medium to high speed as well as at differing speeds and simultaneously overcome most natural obstacles (mobility level 3 and 4). MPK funding candidates should be unrestricted outdoor walkers and be capable of walking more than 50 yards on level ground. Lower mobility patients may also be considered for funding, if it can be demonstrated through a trial that the use of a microprocessor knee improves their mobility and environmental obstacle negotiation to the levels described above. C-Leg 4 is now available on the NHS. Download our guide to the NHS MPK policy and learn more about C-Leg and what is available through the NHS. Download out latest C-Leg 4 brochure for end-users. Download our C-Leg 4: Clinical Evidence brochure. C-Leg is the most widely used and studied microprocessor-controlled knee on the market. Who can have a MPK? This policy will provide funding for eligible lower limb amputees with an activity level of SIGAM D or above. This includes unilateral trans-femoral amputees and bilateral lower limb amputees, including those with at least one trans-femoral amputation who fall into the Mobis 3 and 4 categories. Knee disarticulation or hip disarticulation amputees with the same Mobis categories are also eligible for an MPK. However, a patient with mobility lower than K3 (SIGAM D) but can be improved through a MPK trial would also be considered. The C-Leg is the most trusted MPK across the world with more than 75,000 fittings carried out for people with transfemoral amputations since 1997. Studies have shown that the C-Leg is the safest microprocessor-controlled knee joint, extremely reliable and has the ability to help people achieve independence. How do I get a MPK? if you are eligible. To be eligible for a MPK you must fit a certain criteria and if successful, a trial will be undertaken to see if it is the right option for you. To request a brochure about microprocessor knees or to find a prosthetist near you, get in touch with us.